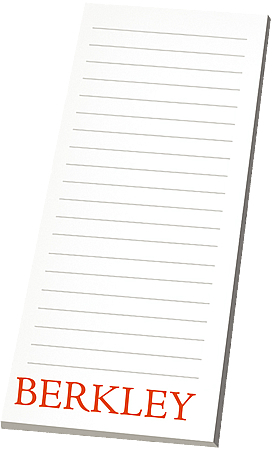 Perfect size Things to Do note pad with a lengthy amount of room for ruled lines & your custom logo. Overall size is 3" w x 9" h, 25 sheets to a pad. Bulk packed in carton. Price includes almost any number of print colors in area 2 5/8" w x 8 5/8" h.